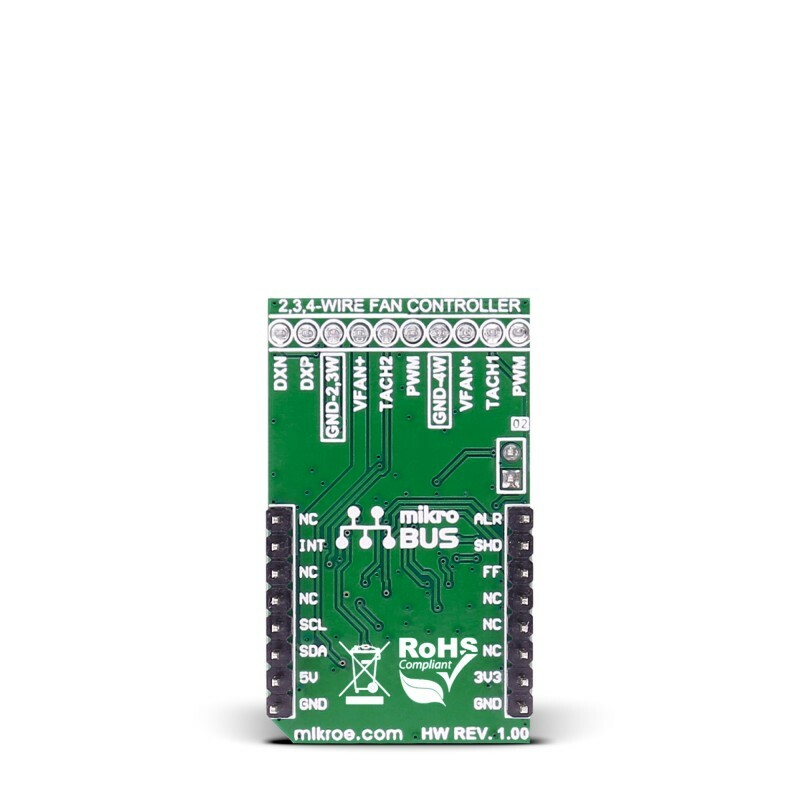 This table shows how the pinout on Fan 2 click corresponds to the pinout on the mikroBUS™ socket (the latter shown in the two middle columns). 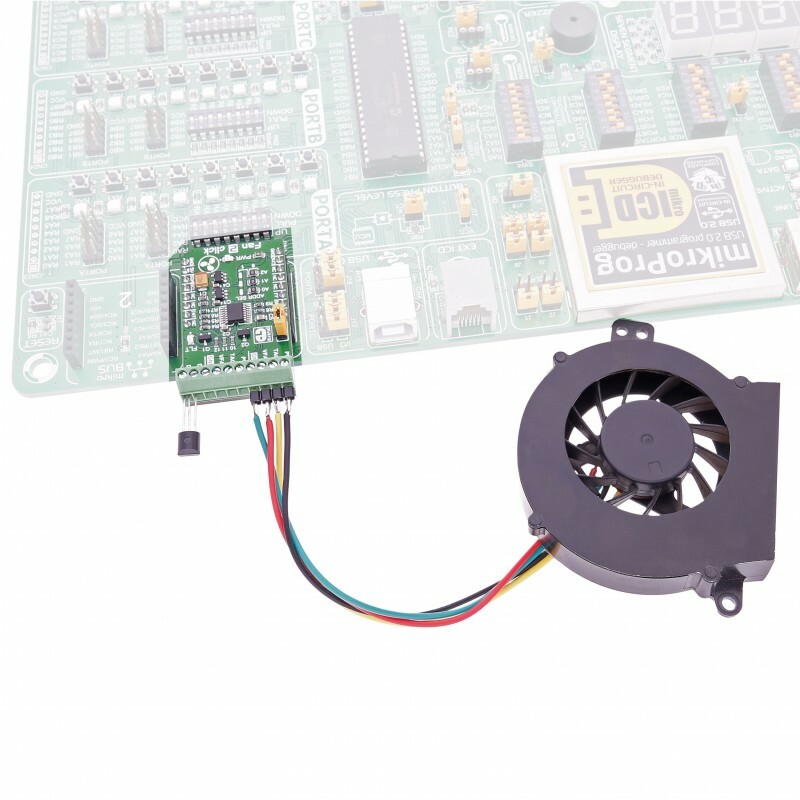 J1 FAN SEL ON or OFF (not specified) 2/3 or 4 wire fan When in place (ON position) it enables two or three wire fan usage, in otherwise (OFF - unconnected) it enables 4-wire fan applications. 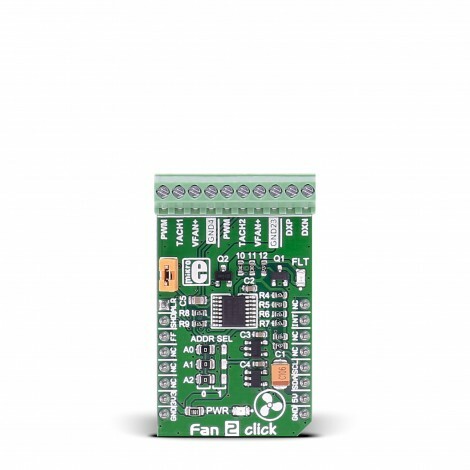 Code examples for Fan 2 click, written for MikroElektronika hardware and compilers are available on Libstock. 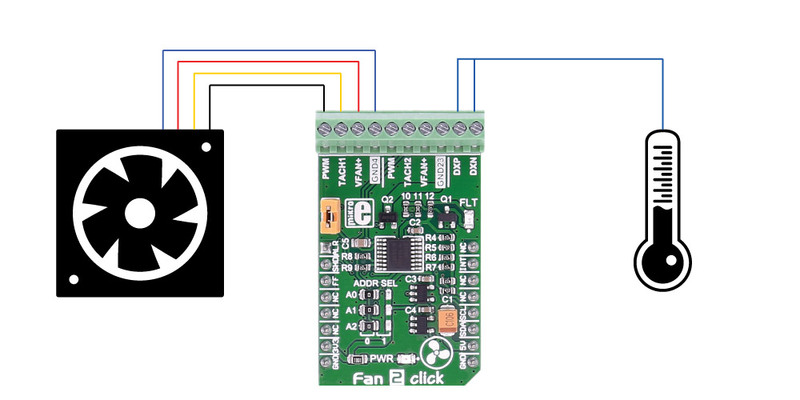 The following code snippet shows 3 functions from the example that control the fan speed. 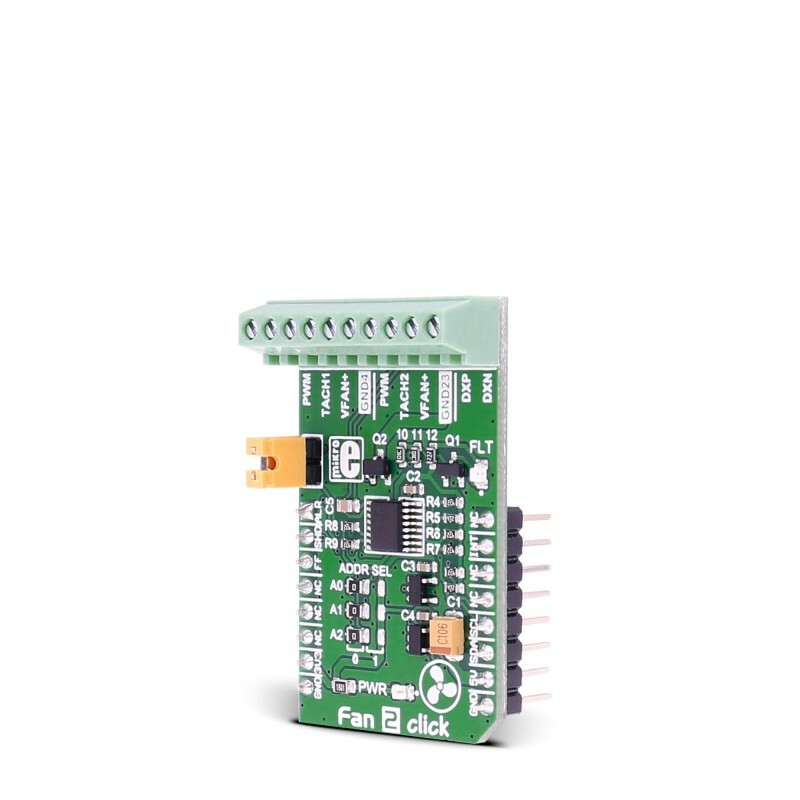 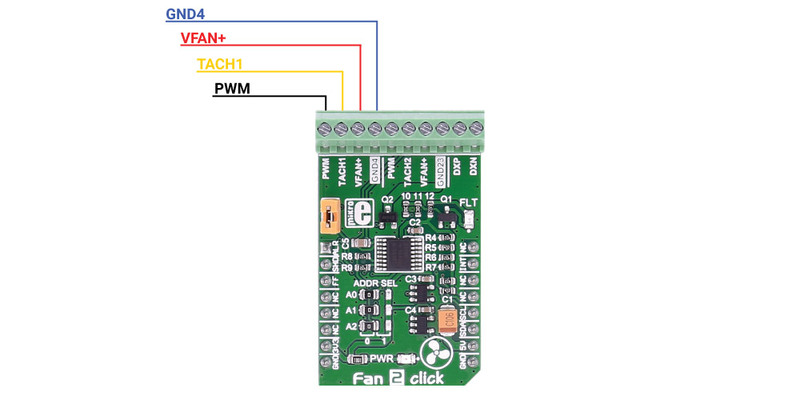 The first one initializes Fan 2 click to work automatically, depending on the temperature, while the second and third one demonstrates manual control.